Once again thanks to Donna. Lets start getting ready for the Spring with our optional theme for this challenge. So many great examples from the team. I cant wait to see what you come up with for this sketch. I also wanted to let everyone know that we are doing more with social media if that is your thing. 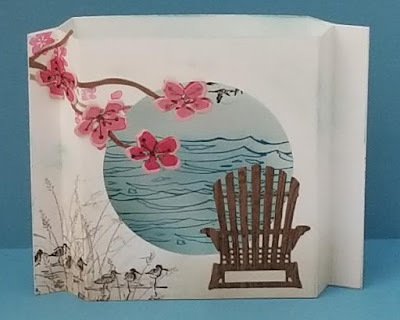 We have a Facebook Group, Pintrest page, and now an Instagram all to share work and challenges. Please come follow us and help spread the word. You can enter our challenges by tagging us using @trystampinontuesday or #trystampinontuesday. Happy Crafting and show me your favorite flowers! 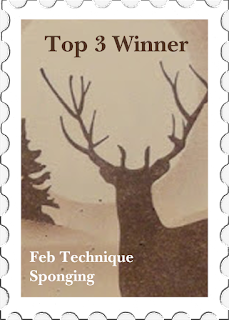 It is the end of the month and that means that our February Technique Challenge has ended and we have a top 3 to congratulate. And I also want to say thank you to everyone that participated in the challenge. 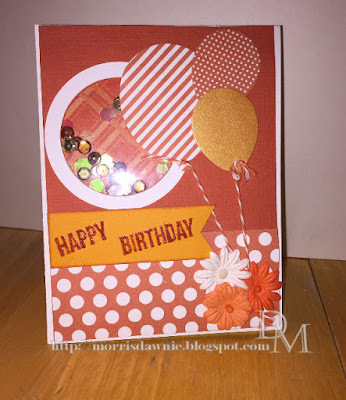 We had some very great examples of how to use sponging on our cards and other projects. Thanks again to everyone. The March Challenge will start soon and for the top 3 be sure to add the special top 3 sponging badge to your blog. Congratulations! First I would like to say thank you to everyone that applied to be part of the Design Team. I would now like to introduce to you the 4 new ladies that will be joining our lovely team and bringing you inspiration. 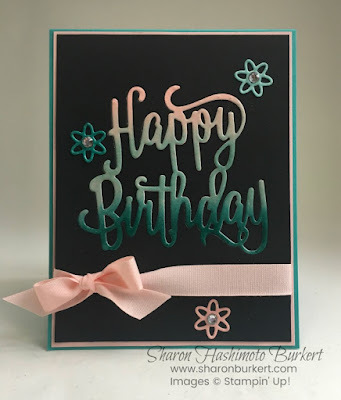 I just love making cards, lol. 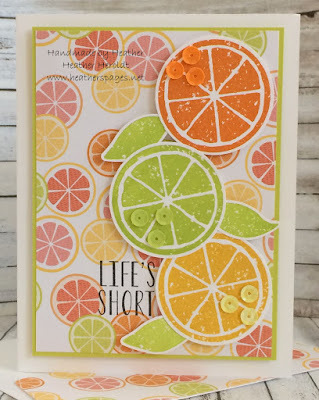 I’m an active and diehard Stampin’ Up! 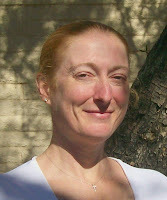 Demo, Silver Elite, and I hold regular classes and clubs, and blog a lot. I’m on a daily post streak that’s gone on three years now, lol, I swear I didn’t mean too, but I’m a challenge junkie, really. Can’t let those suckers get away! Posting daily cards works out well for me as I do a couple big craft shows a year where I sell LOTS of cards, and I mail a lot for my team and business, too. It all started for me back when we were still in grade school, and I was like the teacher and volunteer appreciation Queen for our PTO. I’ve never looked back! I’m a stay-at-home mom with a graduating senior this year, so I’ve been positioning myself for celebrating the empty nest this fall, lol. 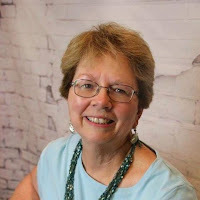 I am a retired educator and have been doing Stampin' Up for 6 years. 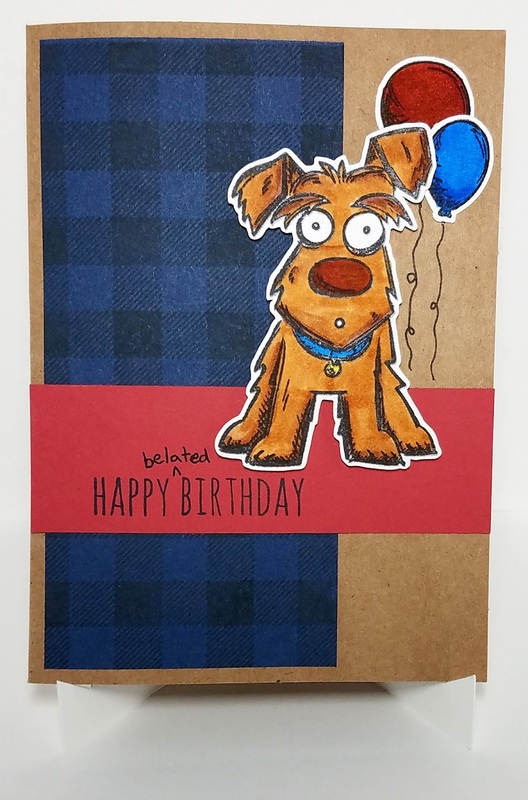 I have classes monthly and love making cards. 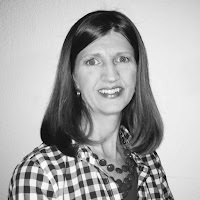 Blogging gives me a chance to share what I love with an even wider audience. What a great way to bring a smile to someone! 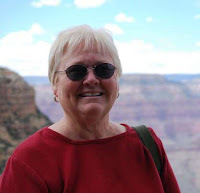 My husband, Bob, and I are retired and live in the Phoenix, Arizona area. Being retired gives us time to enjoy our hobbies. 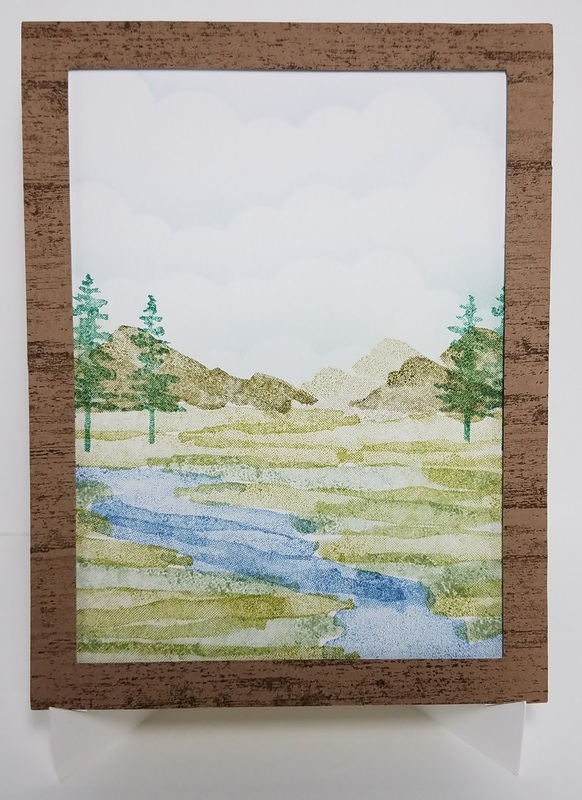 My hobbies include traveling, sewing, quilting, needlework, reading historical fiction and mysteries, and now paper crafting. Encouraged by a friend, I started making cards about four or five years ago and I love everything about it. I especially enjoy trying new techniques and fancy folds, and entering cards into challenges. 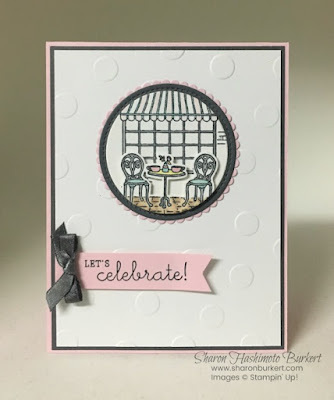 I am currently serving on a few other DTs and look forward to contributing to Try Stampin’ on Tuesday. 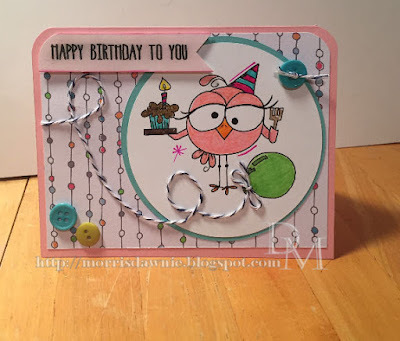 A friend introduced me to card making in 2010 and my passion for card making has grow since then as well as my collection of card making supplies and tools. 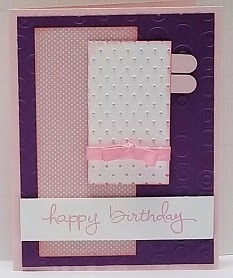 I enjoy spending time in my crafting studio creating cards. 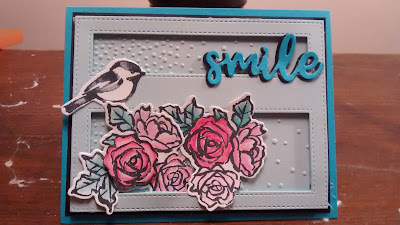 I love being able to create something beautiful and I hope the recipient enjoys my card as much as I enjoyed making it. 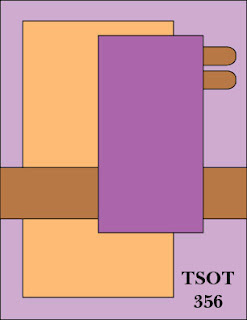 I feel that each card tells a story or conveys a message and each card I create is made with love. When I'm not creating cards or working, I enjoy spending time with my husband and Cairn Terrier, Honey. And now I will announce our Top 3 Featured Projects. 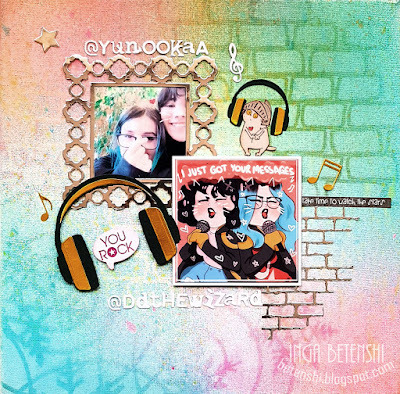 I say projects this week because we had a lovely scrapbooking page make our top for our first color challenge. Well done to all our entries. Thank you all for joining in the color challenge. This weeks sketch is coming to us from Donna. 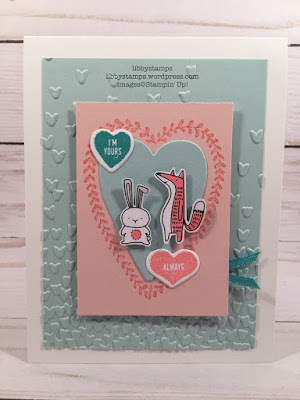 The February Technique challenge ends this Saturday so be sure to show us your best sponging cards. 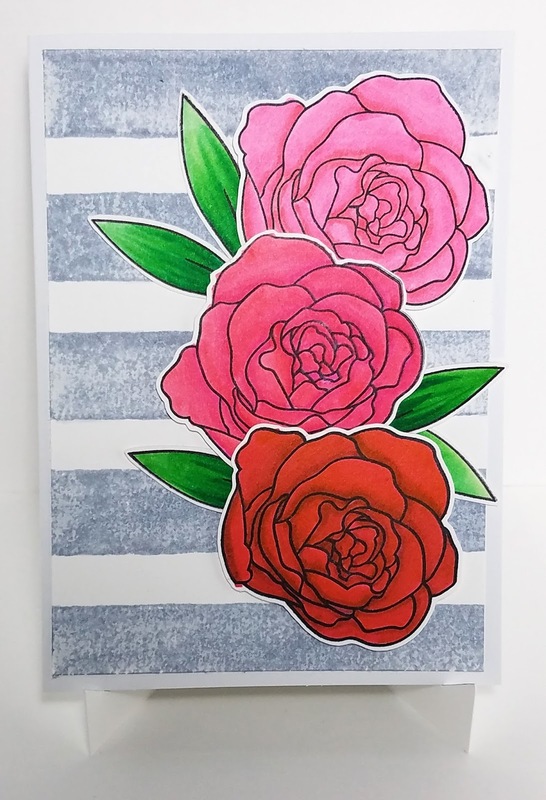 This is a great sketch and I thought it would be perfect for some shaker cards. They are all the rage these days in the crafting world. So lets Shake it, Shake it Shake it. There are only a few days left to enter our monthly technique challenge. 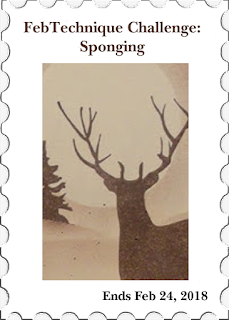 Lets also sponge a little something this week. I know it is one of my favorite most used techniques in my cards. So many ways to use it. So please show us how you like to use it. Thanks to Sue, Nora, Felisa, and Heather for participating in challenge 355. 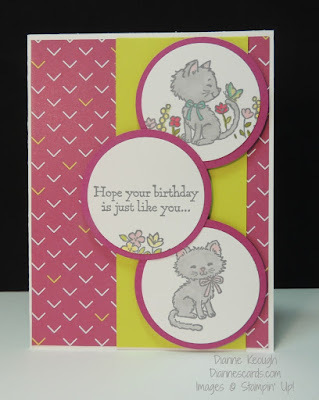 Here are their lovely cards for added inspiration on how to use the sketch for challenge 355. 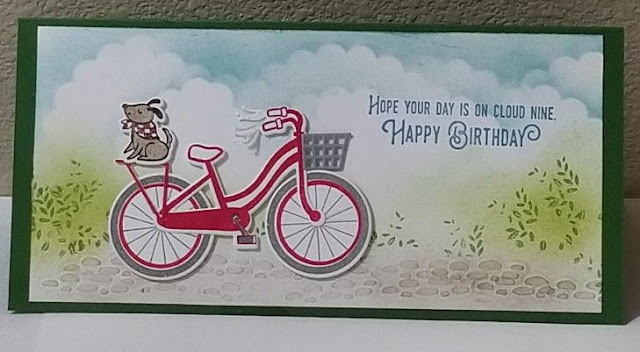 They were able to show love, friendship, and even make it into a birthday card. Way to stretch the sketch ladies. 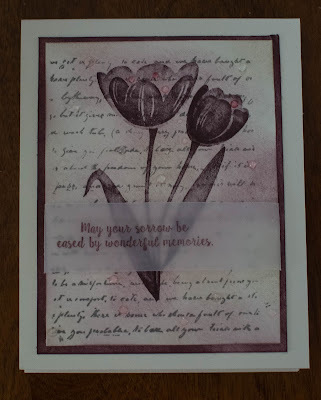 Sorry for only have a few cards for inspiration this week but that will change soon with new Design Team members. There are still a few days left to apply to be part of the wonderful team. Please see the Design Team Call post for further instructions on how to apply. We are open to people of all levels and countries. If you love a challenge then your in the right place. 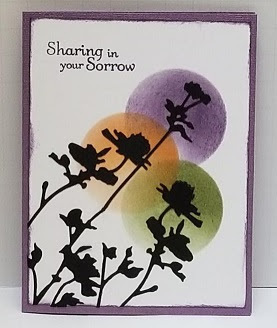 Also, still time to enter in the color challenge if you are stuck for a color combination for your card. 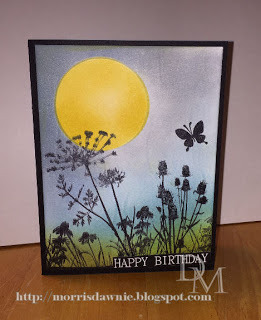 Also dont forget about our February technique challenge of sponging. 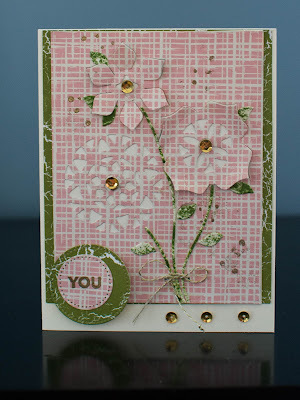 It is a fun easy way to make layers stand off of one another like Donna did on her card this week. Happy Crafting! Once again we had a hard choice with so many great cards. So thank you to everyone that made a card for challenge 354. Congrats Ladies! Keep up the great work everyone! 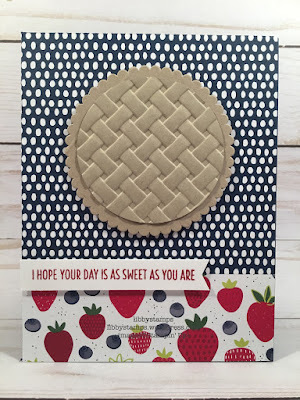 Here is our last new to Try Stampin on Tuesday Challenges. 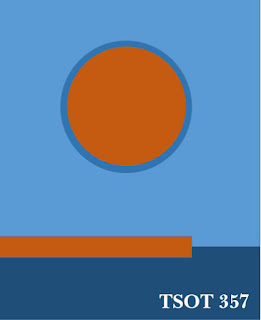 We have had colors as part of an optional theme before but never the complete challenge. 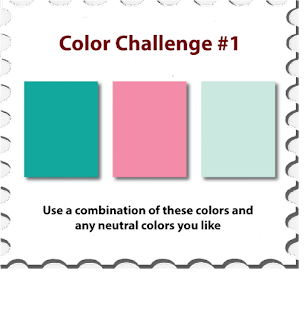 So we challenge you to use these 3 colors anyway you like. You of course can use them with our sketches past or present. They may be mixed with neutral colors as well like: white, brown, black and grey. Have fun with them. 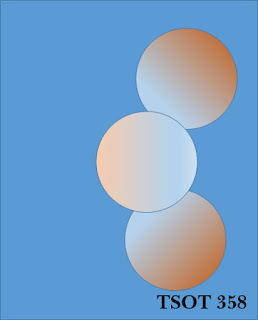 This week we have a teal/turquoise, pink and light blue. If you are interested we are having a Design Team Call till the 16th. Please check out the DT Call post for more details on how to apply. and as always Happy Crafting! It is time for another new technique challenge. This month it is being put on by Sara. 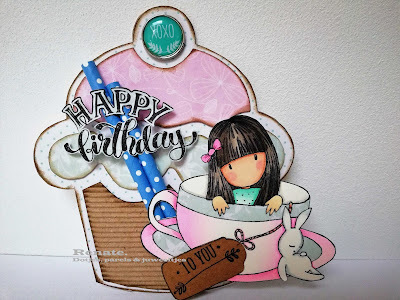 She has made a lovely card and video for you to watch her work her magic. 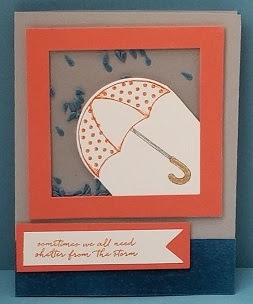 The technique this month is sponging. 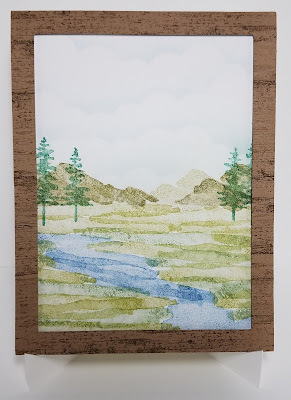 You can make a scene, just a background, or do the edges of your paper. We have some great examples of these other things from our team. Enjoy! We have great examples from the team. I hope that you will play along this month. Dont forget that you can enter the challenge on our facebook page as well as on here.